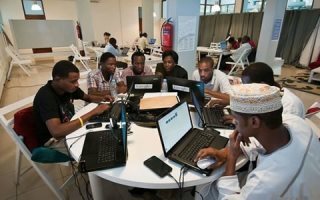 AFRICANGLOBE – Four African tech startups – Kenya’s Pawame and BRCK, Ghana’s AgroCenta, and South Africa’s Sun Exchange – have been named in the Global Disrupt 100 Index. The Global Disrupt 100 Index 2018 ranks this year’s 100 most innovative startups from across the world. Compiled by Tällt Ventures, a global data intelligence and innovation company, it celebrates the ventures with the most potential to influence, change or create new global markets. The ventures were judged by global brands including Google, Uber and Oracle, as well as tech accelerators and renowned entrepreneurs. Kenyan startup Pawame, an off-grid home solar company, is the highest ranked African venture at number 44. With Pawame’s pay-as-you-go (PAYG) Solar Home System, customers can benefit from clean and affordable electricity, whilst also building a credit history that can unlock access to other products and services. The startup announced in March it had raised US$2 million in funding through Gulf-based investors to help it reach its goal of electrifying 150 million households in Africa, after which it crowdfunded an additional US$543,000 through TRINE. Another Kenyan startup, BRCK, is the next best placed African company at 63rd on the list. Launched in 2013, the original BRCK is a rugged router designed for harsh environments with limited connectivity and power, which is able to hop between various sources of connectivity and has a built-in battery for use in the event of a blackout. In March, the next generation of the BRCK, the SupaBRCK, was launched. The SupaBRCK is an enterprise-grade device, which effectively functions as a rugged data centre in a single, solar powered, all-weather box. “This is now our third year celebrating disruptive global innovation – and this year’s cohort are a truly exciting bunch. Each company featured is revolutionising their particular industry, as well as the world we live in, and we’re looking forward to seeing how they grow and effect change in the coming years,” said Disrupt 100 founder Matt Connolly.